Anyone who has ever considered photovoltaic cells knows that they are an enormous investment. However, there is a certain allure to solar panels and the ability to go “off the grid” that makes many homeowners at least consider photovoltaic cell technology, which remains one of the most sustainable available. If you’re considering photovoltaic cells, there are three factors that solar panel manufacturers like to ignore when talking about their product. However, these factors can significantly diminish the energy savings that solar panels can produce, making it all the more important that you know about them. The output of photovoltaic cells is computed for a day where the device will receive 100% sun. This means for every day that has the slightest amount of clouds, or is not particularly bright, will diminish your photovoltaic cells effectiveness [source]. A cloudy day can cause your solar panels to diminish output by 60% or more. If you have any concern about the sun in your area, check with local government agencies that should be able to help you determine the percentage of sun that is available in varying seasons. Although your photovoltaic cells need sun to function, heat can severely slow your solar panels’ output. Anytime the ambient temperature is above 80 degrees F your solar panels aren’t operating at full capacity. For this reason, it is essential that the backs of solar panels be well ventilated to prevent excessive heat gain. Sometimes a sprinkler or other cooling water system is used to further control the temperature and increase the photovoltaic cells’ productivity. The upside to heat sensitivity in photovoltaic cells is that solar panels work very well in cooler temperatures. A clear, bright winter’s day can have a solar panel system working above projected capacity, especially if there is sun reflecting off snow. A shadow can also diminish the energy your solar panels can collect. 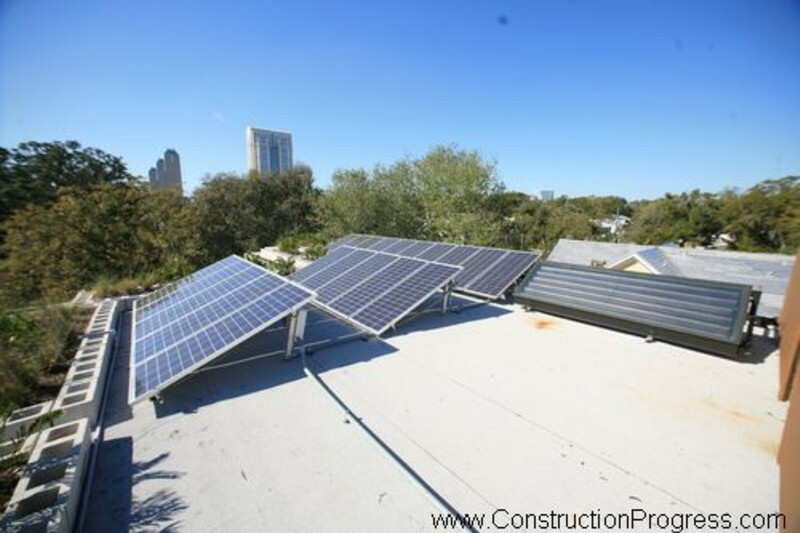 While ideally your solar panels would be installed in an area of your roof that never receives any shade, many homeowners have trees or even other houses that will cast a shadow on your roof. Cutting down a tree to install solar panels is a foolhardy move- often the amount of cooling your house receives from the shade makes installing photovoltaic cells grossly inefficient. Dust on solar panels can greatly reduce efficiency, but it is the one photovoltaic cell drawback that is easily rectified. Once a month it is a good idea to clean the solar panels with water: dust on the photovoltaic cells can drop your efficiency by 10% or more [source]. For most homeowners the money spent on photovoltaic cells could be better used from both an environmental and fiscal standpoint. Good weatherproofing and insulation as well as energy efficient appliances are among the best things you can do for your home to make it more energy efficient. And if you still yearn for a solar panel on your roof, get a solar attic fan or water heater, both of which are cost and environmentally efficient. Should You Buy A Solar Powered Attic Fan? Thinking About Solar Powered Radiant Floor Heating?